The order and payment fulfilment process consists of all the steps your Shopify store takes from the moment your customer confirms their order until the moment they get in in their hands. 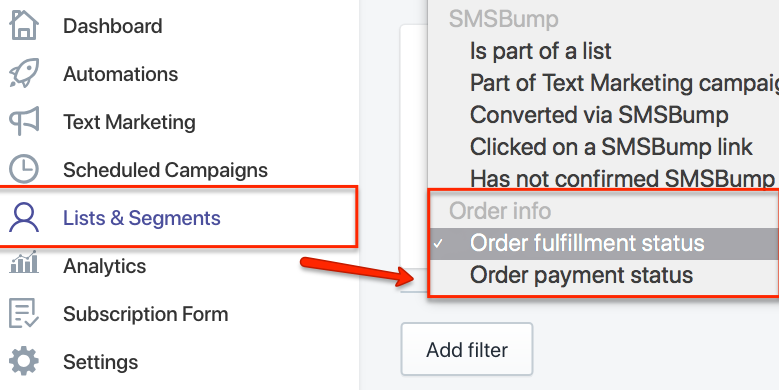 What’s important is that with SMSBump, you can send SMS notifications on every order or payment status change in Shopify. Today you will learn how to update your customers on important status changes using SMSBump. The benefits are obviously that customers can get mass notified for their order with SMS notifications that nobody can miss. For example, it’s Black Friday and you have busy times or issues with deliveries. Well, now you can prevent a lot of customer frustration with a segment that allows you to text message all customers who have pending payments or their orders are partially fulfilled. This gives them a sense of confidence and trust that their order is being handled accordingly. Using SMSBump to send the order and payment updates is quite simple and can be done using the Segments. You have the two customer filters to choose which group of customers you want to message. Customers with fulfilled, unfulfilled or partially fulfilled orders. Create a segment of all the customers who have orders with one of the possible statuses. In case you want to manually inform your customers with every update about their order fulfilment status, you can build the segment and send them a text message with the necessary updates. In case their order is fulfilled, they will appreciate that they are immediately notified and won’t wonder and want to contact you for updates themselves. But if their order is unfulfilled or partially fulfilled, they will definitely want to know what’s up so sending them a text message will give them all the information instantly and in a brief and actionable form. Customers who have a payment status selected by you. 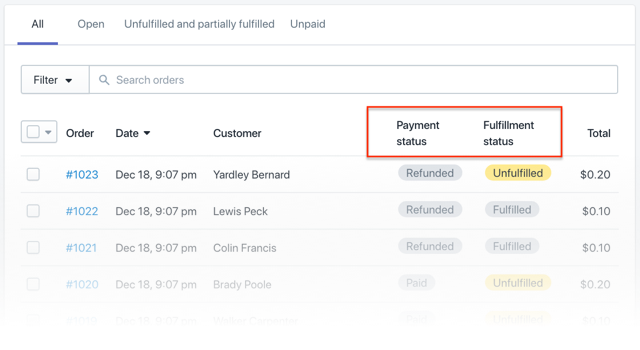 Build a segment of customers who have different payment statuses and require updates on what’s going on with their order. Every time you pay online you want to know what’s going on with your money and whether everything is okay with the payment. SMSBump can help you give your customers peace of mind when everything is okay, or notify them right away when something unusual happens. Especially refunds or voided payment statuses. These are important events and your customers need clarity, transparency and they need it right now. With this segment rule, you can build groups of all the customers who have the same order payment status and send them a text message updating their situation. Your customers know what's up with their order and payment, they are happy, and so are you. The updates for orders and payment are things that are of vital importance to your customers and it’s the thing they care the most when interacting with your online store. Give them the instant satisfaction of knowing the status of their order in a quick and easy to understand way.